I am having a little love affair with bikes this past week lol... I know they are for riding but I actually think they look better in the garden! 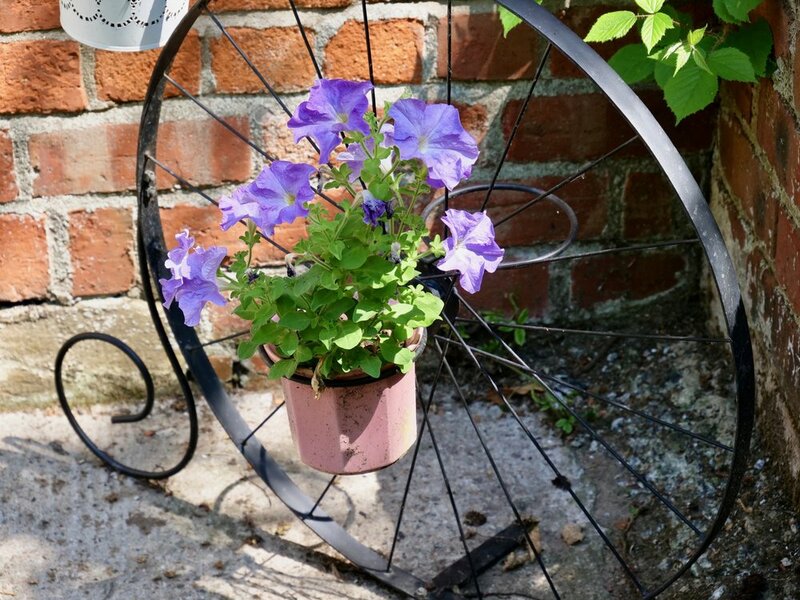 My newest addition to my collection is this Penny Farthing Old Fashioned Bicycle Plant Stand from one of my favourite stores B&M at Rushmere. I think it really suits the style of our Victorian house and it was super easy to assemble and will fit most plant holders. I bought the little pink plant pot from a charity store and the white one from Ikea. How pretty are these Petunias? I got them from the bargain bucket at Homebase for only £1.00. The colour is just so vibrant and fresh! This definitely was a Dream Buy! Now, I wonder where I could get a real Penny Farthing bike? Any suggestions?